Prairies are treeless grassland areas interspersed with flowering plants. At one time, they covered much of the world's land surface. Today, however, much of the former prairie lands have been developed or converted to farmland. Prairies plan an important role in stabilizing soil temperatures, which, in turn, conserves water. 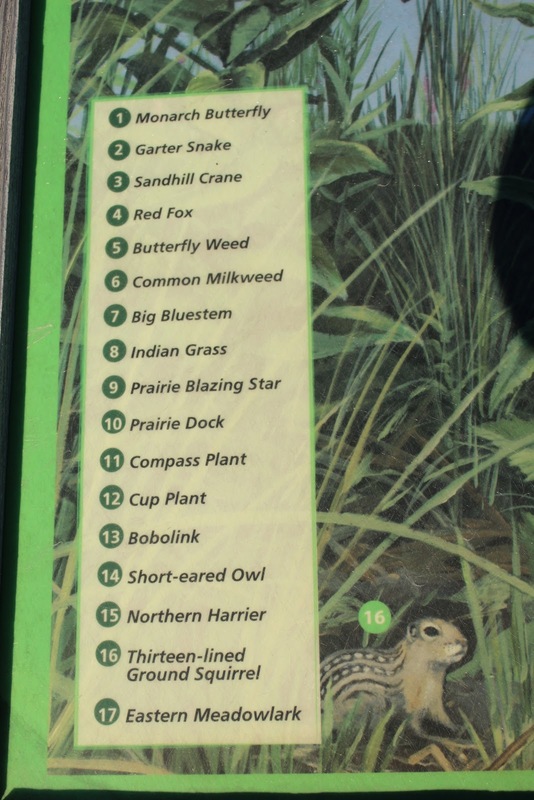 They also provide habitat for many grassland birds and nesting waterfowl. Periodic fires maintain and renew prairies by killing incoming woody plants and stimulating the growth of native plants. The marker is at the seventh stop on the three-mile Horicon National Wildlife Refuge Auto Tour & Trails tour loop. The entrance to the Horicon National Wildlife Refuge | Tempike Auto Tour is located on eastbound Wisconsin Highway 49, about three miles east of the Wisconsin Highway 151 exit, Waupun, Wisconsin 53963. Looking southeast across the marsh. Nearby view of the marsh (above and below), looking northwest.